So you might be thinking that because I’m from Mexico City, I want to make everything into a ‘bolillo’, or bread roll, or at least put it in a bread roll right? Mexico City is known for many unique spins on cuisine, and one if them is the almost-inexplicable desire to make a ‘torta’ out of anything – even a tamale! We seem to love eating anything ‘en bolillo’, and the rest of the country won’t let us forget it. In addition to its classic white sands, turquoise horizons and mystical cenotes, the Riviera Maya is also home to some iconic gastronomy. 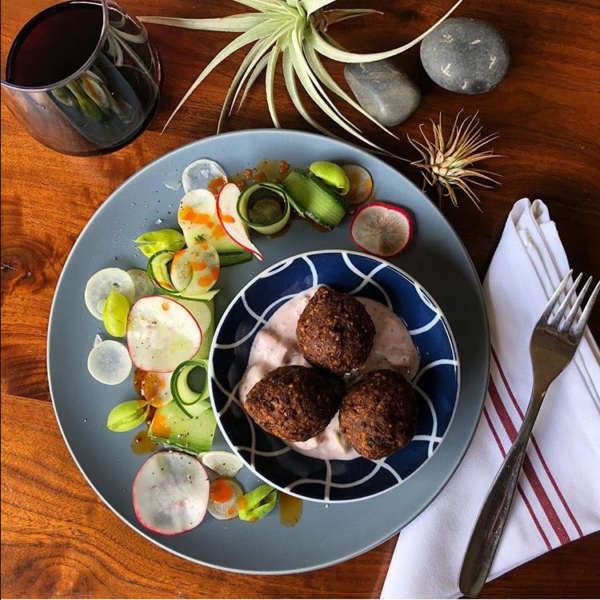 It has delicacies that range from ancestral Mayan dishes prepared for thousands of years, to contemporary cuisine like the modern version of kibbeh, a Middle Eastern dish prepared with unique Mexican Caribbean flair. With its oval shape and golden surface, is made from wheat flour, hollow on the inside to make room for its traditional filling of ground meat. It is then topped with cabbage salad. Kibbehs came to Mexico between 1800 and 1900 with the arrival of the Lebanese, and although they have preserved their shape and beachy tan, their filling, if you ask me, has only been magnified. Today, you’ll find them filled with traditional Mexican ground beef picadillo, the majestic shredded pork cochinita pibil of the Yucatan or even Oaxacan cheese, served with the magical mixture of red onion and sliced habanero chile with lime and local sour orange. It all sounds delicious — even I’m hungry now! — but where can we find these delicious Middle Eastern-style ‘rolls’? Easily enough, all we have to go is go to the beach with $10 pesos in our pockets. When we see a guy strolling by with a glass box, as if carrying something very precious, he’s the one to ask for these Riviera Maya delights. 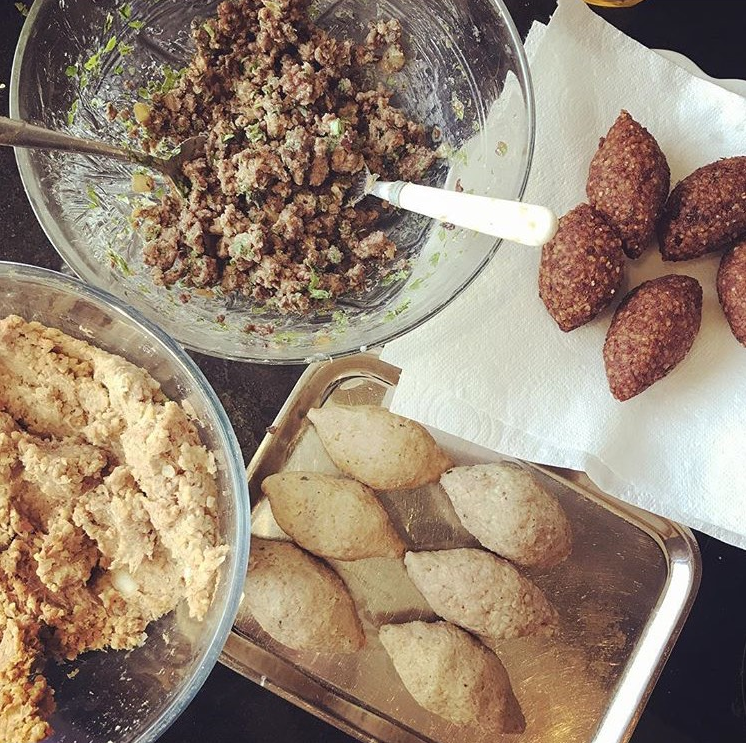 Just like you have to try something different in ‘bolillo’ in Mexico City, I’d say you have to try a kibbeh when hanging out in the Mexican Caribbean. Even though they’re from the Middle East, they’re an example of a great saying by Chavela Vargas, which, loosely translated, means that Mexicans are born wherever they darn well please! Happy eating in the Riviera Maya!